We are a team of accomplished transformational leaders with deep corporate, non-profit, community and life experience that shapes our practical, informed approach to problem solving. Pivot Global’s consultants and advisors are chosen for their expertise and demonstrated ability to engage clients along a transformation journey. They bring our Ignite – Transform - Succeed approach to life through discovery and insights drawn form all parts of your organization. We know that people dynamics are the bedrock of an organization’s success. That is why our transformational work emphasizes talent structures, development, and engagement. It also is why we only entrust your transformation to select professionals who are poised to elevate your performance. Maria Foxhall has over 30 years of professional experience in the business solutions, financial services and consulting sectors, including over 20 years in insurance and risk management. Maria is a team builder with strong P&L and general management skills. She has a proven record of recruiting, developing and retaining top notch sales and relationship professionals while cultivating strong relationships with clients’ and partners’ senior executive leadership. Her core skills include optimizing ROI, as well as revitalizing stagnant and declining revenues for Fortune 100, middle market and start-up companies. Maria also is adept at competitive analysis, product positioning, major account development and management, performance enhancement and succession planning. Prior to launching NRM North America, LLC, where she was Managing Principal and directed the company’s operations, sales and growth strategies, Maria was a successful executive at several national insurance firms where she was responsible for all functions of management, sales, service and retention for large public, private and municipal accounts. Maria previously was Senior Vice President at Marsh USA, Inc. a division of Marsh & McLennan Companies. At Marsh, Maria was responsible for strategic planning, insurance programs, risk management, sales and service for the Great Lakes Region. As the Senior Sales & Marketing Executive, she was successful at establishing the vision and strategies necessary to grow a multi-million dollar risk management practice. An expert at creating and capitalizing on networks, liaisons and business connections while also negotiating and managing joint ventures and strategic partnerships, Maria increased the practice footprint by adding offices and increasing sales year-over-year. Maria served as Vice President for Wells Fargo Health Benefit Services. At Well Fargo, she provided consulting services and comprehensive financial health account solutions to private, public sector and corporate clients, including Deloitte, Blue Cross Blue Shield of Massachusetts, Champion Paper and Health First Health Plans. Maria also worked at Xerox for 10 years. While there, she was responsible for providing business services solutions to her clients. As a District Trainer, she developed and coordinated sales and service training for customer, sales and support staff. Maria graduated with a BBA in Business Management from Notre Dame College of Ohio and is a graduate of Case Western Reserve University’s Executive MBA program. Alejandra (Alex) Garza has over 25 years of professional marketing and business development experience in the health care insurance, non-profit and public sectors, including over 10 years teaching in higher education. She has strong strategic planning and general management business skills, as well as a proven record of managing teams with national responsibilities that deliver business results in challenging business environments. Prior to joining Pivot Global, Alex launched AGG Consulting, Inc. where she provided strategic marketing and business development consulting services to health care insurance companies, non-profits and public sector entities. Alex also previously led marketing teams at both Aetna and United Healthcare where she was responsible for marketing to public sector clients such as the federal government, states, municipalities, school districts and labor and trust organizations. Alex believes in participating in civic engagement and currently serves on the Chicago Board of Education, Metropolitan Planning Commission’s Sustainable Growth Committee, Sinai Health Systems Board, University of Chicago Booth School of Business’ Civic Scholar Committee and the University of Illinois at Chicago, Liberal Arts & Science, Board of Visitors. Alex received a B.A. in psychology from University of Illinois at Chicago, an M.B.A. from the University of Chicago Booth School of Business and a certificate in Non-Profit Governance from Harvard’s Business School Executive Program. Ken has over 35 years of leadership and industry experience, serving as CFO and C-suite executive in public and private companies, as well as the Financial Services, Fin-Tech, Information Services, Healthcare and Business Products and Services sectors. Ken’s experience includes driving business transformation in domestic and international settings, accelerating and maximizing revenue growth and driving operational efficiency. Additionally, Ken has completed over 50 M&A transactions, formulating the strategy, search, valuation analysis, negotiations and post close integration activities. As the CFO for Pivot Global Partners, Ken will focus on developing financial and business strategies to meet Pivot’s operating and growth priorities. Ken’s prior experience includes serving as the Vice Chairman, CEO and Board Member of Brightwell Payments, Inc., an Executive in Residence at Navigation Capital Partners a Partner and Principal in Elkmont Group, LLC and CEO, President and Board Member of Prommis Solutions, LLC, a leading provider of foreclosure and bankruptcy outsourced processing services. Ken also was COO-CFO of the Lender Services Division at LandAmerica Financial Group, which provided mortgage origination, servicing and default products and services to mortgage servicers and financial institutions. Ken was CEO, President, CFO and Board Member of Cardedata.com Inc., an online syndicator of healthcare information and online business service and technology applications. He also served in various executive management positions with First Data Corporation and its predecessors, First Financial Management Corporation and MicroBilt Corporation. Before joining First Data, Ken worked with Colonial Life and Accident Insurance Company, based in Columbia, South Carolina. Ken holds a B.S. in Business Administration, Accounting, with Phi Beta Kappa distinction, from the Moore School of Business at the University of South Carolina. He has a M.B.A, with a concentration in Innovation and Entrepreneurship, from the Eugene Stetson School of Economics and Business at Mercer University. Ken passed the CPA Exam, is a Green Belt in Six Sigma and also is an Adjunct Professor at the Eugene Stetson School of Business and Economics at Mercer University. Malcolmn Pryor, Sr. is an investment banking and financial pioneer and professional. Malcolmn started his career at Goldman Sachs, heading up the Fixed Income department in the Philadelphia Office, after graduating from the Wharton School, University of Pennsylvania. He went on to start his own investment banking firm, Pryor, McClendon, Counts & Co., Inc. (“Pryor, Counts”), and became the first African American to have a full service investment banking company for corporate, municipal and international clients. Pryor, Counts led many financings for municipalities and sovereign credits. Among its clients was The African Development Bank. Malcolmn was instrumental in developing a market for their bonds among institutional investors in the US. 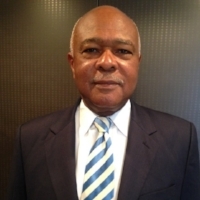 Malcolmn continued his work in Africa by becoming an advisor in a number of countries in the early 1990s as they developed their banking systems. He became a founding shareholder in financial organizations in The Republic of Ghana, Uganda, Zimbabwe, Benin and Nigeria. He also was, and continues to be, a founding shareholder in the African Export Import bank headquartered in Cairo, Egypt. At the formation of the bank, Malcolmn led the team that selected the bank’s headquarters. Malcolmn was a member of the Philadelphia Options Exchange where he was a Market Maker. He joined The New York Coffee and Cocoa Exchange. His company was a member firm of the Chicago Board of Trade, and he traded futures and options on equity and debt securities, as well as foreign currency derivatives. Malcolmn was a board member of the NYSE listed company Pepboys and a member of its Audit and Compensation committees. He was a founding board member of the Wells Fargo Foundation in Philadelphia, serving on the Finance Committee, and was a board member of Lincoln University. Malcolmn was a guest lecturer at The Wharton School and a member of the Wharton Graduate advisory board. He also was a founding member of the National Black MBA Association and the Whitney Young Memorial Conference. After merging his firm in 2004, Malcolmn relocated with his family to Miami where he became CEO of the Southern Africa Enterprise Development Fund in Johannesburg, South Africa. The fund’s mission was to invest in projects led by the indigenous population in Southern Africa as a means of empowerment in the post apartheid era. Through his leadership, the fund privatized the Mount Meru Hotel in Arusha, Tanzania. Other investments were in equipment leasing, engineering, financial technology, alternative energy and telecommunications. Currently, Malcolmn is an advisor and board member of Island Financial Solutions, an advisor with Poliwogg Health Investments, an advisor with Eezinet Communications and managing member of SMR Capital Holdings, LLC, a financial advisory and consulting firm. James Binyon has more than 30 years experience with organizations at pivot points around at the world. He has worked in the education, insurance and financial sectors in both physical and internet based business models. James has wide experience in cost management, system implementation, establishing credibility for investors, and maintaining effective control over organizations involved in restructuring. He has wide experience of risk and project management ensuring that transformations achieve what is expected and that the process maintains the confidence and support of the corporate board. Working out of Hong Kong James took a central role within the international bank HSBC managing the impact of the 1997 Asian credit crisis, was responsible for contingency planning and business issues associated with the handover of Hong Kong to China and set up risk and performance monitoring systems in this rapidly developing market. Returning to the UK he headed the finance, risk and compliance functions in the team which restored to growth and increased profitability threefold in First Direct, a major internet and telephone bank in the UK. James moved to the US to act as the senior finance executive from HSBC for its acquisition of Household International, a major North American subprime lender. James led a financial restatement following the acquisition, installed control systems to remedy a 'fundamental weakness' SOX rating, and acted as Chief Accountant as the company managed through the credit crisis of 2007/8 and resized and restructured the business to reflect the new realities of this sector. Moving to the education sector James worked on improving risk controls mechanisms and refocusing resources for Kaplan, a major for profit educator, faced with severe adverse publicity and declining student numbers. He moved to Puerto Rico where he restructured EduK the largest for profit educator on the island which owns National University College and Instituto de Banco. Faced with a troubled economy and a migration of students to the US, he led the company during this period of transition, attracted new financing, ensured that resources were allocated to areas of growth and left the company financially secure with the opportunity to grow in the future. Returning to Chicago James moved into consulting and worked on a real estate acquisition for the not for profit lender IFF and on the restructuring of the Foundation for Chicago State University. James has a Master of Arts degree in Law from Oxford University, England, is a UK qualified Chartered Accountant and a qualified member of the Association of Corporate Treasurers. 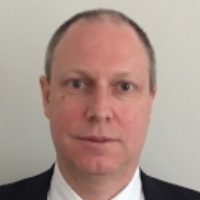 John is a skilled Enterprise Service Architect with extensive expertise in Service Management. His experience includes defining company-wide Service Management strategic direction for organizations, including Abbvie, Boeing, State Farm Insurance, Ernst Young and Allstate. John has led cross-functional business and technology teams in building and executing an enterprise Service Management framework to accurately measure and communicate how people and systems deliver services. John also has successfully developed and implemented a Service Management strategy to simplify service delivery so employees can easily request and share information and integrate with other business units throughout the enterprise. John’s focus with Pivot Global is leading transformation for clients to a Service Delivery organization by simplifying complex work streams, yielding significant improvement in communications between internal and external customers and establishing a method to track, measure, manage and report cost and performance. John is a leader of innovation and Intellectual property. He has successfully developed 15 business method patent applications for corporate clients. John has a BA and MA from the University of Connecticut. Terri Burch bridges analytical business thinking and creative design. Her experience is based in three main areas: business design and innovation strategy; business risk management; and community and economic development. Terri leads innovation and cultivates change in business and community through the design and facilitation of workshops and strategic planning sessions. Terri helps teams develop creative ideas and strategies that promote collaboration across silos, connect better with key stakeholders and innovate for growth. Terri is a Strategic Design MBA fellow. She is a certified multi-day planning session facilitator for community and urban planning. 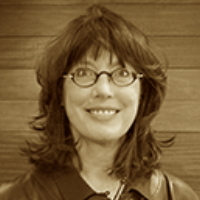 Terri also has partnered with DesignThinkers Group USA as a Service Designer. Terri has more than 13 years of experience advising clients -- from non-profits, to small to medium sized enterprises to multi-national corporations -- across sectors, including manufacturing, financial services, healthcare and education. Terri served in a client advisory role at Marsh, Inc as a licensed property and casualty Producer, managing a book of clients in financial and professional liability programs. She joined Ally Financial (formerly GMAC, Inc.) as a Senior Analyst to help establish the company’s first corporate insurance department after they spun-off from General Motors. Terri’s role involved working with lines of business domestically and abroad to establish protocols to mitigate risk and procure corporate insurance programs. In the community, Terri is Strategist and Community Education support for Re-Invent Detroit, an initiative focused on establishing Detroit as the leading SMART CITY in America. 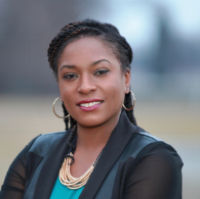 She also has been a member of the Design Management Institute and Detroit Young Professionals. Shelle Cleveland is a certified executive coach, organizational change practitioner, facilitator, and a skilled human resources strategist. With more than 25 years of experience leading and creating high performance organizations, Shelle has extensive experience in individual and organizational development, due diligence and cultural integration and acquisitions. As an HR executive, Shelle has reported directly to the CEO and been a contributing member of the senior leadership team, to whom she provided individual coaching, organizational strategy consultation and change implementation leadership. Previously, Shelle served as the Global Diversity Leader for General Electric Capital, headquartered in Norwalk, CT, a $50B organization with more than 35,000 employees worldwide. During her 18-year tenure at GE, Shelle held senior HR and leadership development positions in the financial services and aviation sectors. In addition to her GE experience, Shelle served as the Chief HR Officer for a $750MM global, private equity-owned aviation company and held earlier HR roles with Allstate Insurance Company and PepsiCo. Shelle’s certifications include: Associate Coach, International Coaching Federation, Team Coach, Team Coaching International, Change Management, APMG International, Trainer, Neuro Linguistic Programming (NLP), The Empowerment Partnership, Practitioner, Design for Six Sigma, GE Company and assessment tool certifications for Hogan, DISC, Birkman, MBTI, 360. Shelle earned an M.B.A. degree from Northwestern University’s Kellogg School of Management and a Bachelor’s degree in Communications from Hampton University. Angela has over two decades of experience in the areas of social impact, strategic philanthropy, diversity, stakeholder engagement and change management. She also has extensive experience launching and leading new philanthropic efforts and business ventures. Most recently, Angela led the New Options Project – a 3-year, $28M investment of the W.K. Kellogg Foundation that developed innovations to connect 16-24 year-old out-of-school, out-of-work young adults with meaningful career opportunities, while leading employers to a source of untapped talent. Prior to the New Options Project, Angela served as the first Chief Diversity Officer at Teach For America – the country’s national teaching corps. In this capacity, she led organization-wide diversity and inclusion efforts and was a member of the organization’s Leadership Team. Angela also launched two major philanthropic initiatives while at Allstate. She was the first person responsible for bringing a strategic focus to the company’s hometown civic and cultural investments, directing over $25M in community investments. She also created and led The Allstate Foundation’s Domestic Violence Program, a signature program that developed a holistic network of programs and services – focused on economic self-sufficiency – to empower domestic violence survivors and their advocates. Prior to joining Allstate, Angela helped launch and bring Monster’s Diversity and Inclusion division to profitability. Angela’s experience also includes serving in various capacities at Deloitte. During her tenure, Angela worked with leadership to implement firm wide diversity initiatives. She was also responsible for managing record-breaking national, local, and regional philanthropic campaigns and other outreach activities. Angela joined Deloitte in 1993 as an Audit Associate and transitioned to the national recruiting staff 1995. Angela received her B.B.A. in Accounting from the University of Notre Dame and is a graduate of Northwestern University’s Kellogg School of Management where she received an M.B.A. in Organizational Behavior and Strategy. Shamair has worked internally and externally as a management consultant for major financial institutions with domestic and global operations. During her tenure at AXA Insurance, AIG Insurance and Navigant Consulting, Shamair provided project management, process re-engineering and training and development services for insurance, banking and non-profit organizations. Shamair has analyzed, designed, developed and delivered training needs for several complex, global organizations. She is well-versed in developing and facilitating content, using instructor-led, eLearning and blended learning platforms. Shamair has led several global learning management system implementations. In addition to system implementation, Shamair has constructed the operations and infrastructure needed to support sustainability. Shamair has managed small to large scale technology projects from initiation to close, as well operational excellence initiatives for complex global organizations. Shamair has led been involved in several business continuity initiatives, which involved developing enterprise systems, processes, procedures, guidelines and templates for cross business unit and corporate functions while adhering to federal regulations (e.g., SIFI and FINRA). Shamair received her B.S. in Finance from Florida State University and her M.S. in Human Capital Management & Development from New York University. Elizabeth Eiss is a results delivery expert, specializing in achieving successful outcomes. With a broad operational background, Elizabeth gets things done by crafting and executing focused plans and building and leading teams of resources required for success. Endlessly curious about the workings of world, Elizabeth brings a creative spark to all her endeavors to ensure things work well. She has an extensive track record of performance in both large, established and start-up organizational environments, with sector expertise in insurance, financial and investment services, software development and applied consulting and new venture funding. Elizabeth is a strategic thinker skilled at converting problems into opportunities and developing innovative solutions. She has been especially successful in building business value through process systemization and leveraging technology and data analytics to achieve strategic advantage. Elizabeth is the former COO of Dreambuilder Investments, a mortgage investment firm. As COO, Elizabeth was instrumental in the company’s dynamic transformation from a boutique firm to one of the largest buyers of distressed US residential 2nds liens. Experienced with early stage ventures, Elizabeth was COO of XpertUniverse, a ground-breaking developer of web-based collaboration solutions. The company developed a state-of-the-art platform to organize and deliver real-time, multi-channel access to dispersed knowledge workers over the Internet, thus offering alternatives to traditional call center structures. During her extensive tenure in the insurance industry, Elizabeth was a senior executive with a wide variety of roles: from launching XL America, XL Capital’s US growth platform to leading the distribution and training areas for CNA’s $3.6B commercial division. While at CNA, Elizabeth also successfully led the commercial merger team when CNA acquired Continental Insurance Companies. Elizabeth has a BA from Mount Holyoke College. She also completed The Wharton School’s Advanced Program for Senior Executives. Frances is a Special Engagement Advisor with extensive experience in financial services. She brings over 20 years of experience in global business strategy, operations, and technology integration. Frances has a demonstrated record of exceeding profitability goals, improving performance, and managing risk for blue chip companies. Most recently, Frances was the Group Managing Director and Chief Administrative Officer (CAO) of the Financial Markets & Treasury Services Sector operation at BNY Mellon. In that role, she reported to the COO and was responsible for strategic oversight and management of administrative, operational, and sector financial affairs and initiatives. Before joining BNY Mellon, Frances worked for more than 15 years in management consulting, advising Fortune 50, C-level executives on corporate and brand strategy, as well as all aspects of mergers and acquisitions and post-merger integration of global business operations and technology. Frances had operational responsibility globally for overseeing teams of consultants, sales leadership and business development, P&L accountability, and client account performance. She worked with top management on strategies to grow and diversify revenue, enter new markets, restructure organizationally and contain cost through process improvement, shared services, and technology change. Frances advanced at leading firms during and after business school, including Goldman Sachs & Co, Booz Allen Hamilton and Accenture. She also has held Director and Global Leader positions with Galt & Co. and Capgemini Consulting. Frances just completed her third term and ninth year of service as a Board Director with the New York Cares organization. She is an eight-year Member of the Executive Leadership Council (ELC). Frances graduated with an M.B.A. in Finance and Strategic Management from the Wharton Business School, University of Pennsylvania. She also holds a Master’s degree from the Massachusetts Institute of Technology and an Undergraduate degree from the University of Michigan. Dean brings over 25 years of practical, hands-on experience as a consultant and senior leader. Dean’s focus is on operational effectiveness, strategy formation, enterprise level program implementation, IT and business integrations. Previously, as the founder of Jarnow Strategic Partners LLC, Dean developed and implemented optimization processes around strategy formation and program operational effectiveness. His has worked with private equity start-ups, Fortune 50 companies and Global 100 companies such as Seimens Energy, United Health Group, AgriBank FCB, EcoLab, ECMC, ConvergOne and Bemis Co. Dean also has participated in strategic design forums for companies such as State Street Global Advisors and Fidelity Management & Research. Dean has deep subject matter expertise in financial services product design, development, and implementation. At companies such as Ameriprise Financial, Allianz Life, Thrivent Finacial and Portico Benefits, Dean was responsible for advancing and managing accumulation and distribution assets, product development, product management, distribution and pricing. Dean’s work includes both accumulation and annuity options, institutional group plans and financial well-being programs. Randy brings over 25 years of experience in building brands. His multi-industry experience spans consumer packaged goods, food service, retail, media and entertainment, logistics and non profit. Randy’s background includes a combination of brand management, customer and consumer marketing and strategy consulting. His experiences have helped him understand how to identify customer insights and use them to design innovative, growth-focused solutions. Most recently, Randy launched a marketing consulting firm, delivering brand and marketing strategy solutions. Previously, Randy was Vice President of Marketing for a $100 million national non-profit where he developed donor engagement programs and built partnerships with strategically aligned corporations. Randy has held senior marketing roles at several Fortune 1000 companies. As Vice President, Strategic Marketing, at Equifax, Randy was responsible for identifying and capturing $180 million in global marketplace opportunities. As Marketing Director at UPS, Randy provided overall leadership and strategic direction for a strategic customer segment that represented $20.2 billion in sales. Randy was a National Marketing Manager for The Coca-Cola Company in its food service division, and he was Marketing Manager on the Playskool infant toy line that represented $70 million in retail sales at Hasbro Toy Company. As Product Manager at Bristol-Myers Squibb Company, Randy managed its $170 million joint venture with the Gerber Products Company. Randy holds a B.B.A. in Finance from Emory University in Atlanta and an M.B.A. from the Clark Atlanta. Randy has completed advanced management programs at The Kellogg School of Management at Northwestern University and The University of Chicago Booth School of Business. Bill is an entrepreneurial Senior Financial Executive with successful international public company experience. He has sector expertise in the public relations, telecommunications, cable television, manufacturing and real estate industries, as well as Big 4 public accounting experience. He is a problem solver with a strong track record of accomplishment in improving margins, maximizing cash flows, implementing effective enterprise metrics, organizational turn arounds and increasing shareholder value. Bill is a resourceful, out-of-the-box thinker and an organized leader with the highest degree of integrity and ethics. Most recently, Bill launched a multi-office executive business center in New York City. He has extensive experience in the construction industry, working with top general contracting firms, architects, as well as the trades. Previously, Bill held a series of senior financial roles at Fortune 1000 companies. He was CFO of APCO Worldwide, Inc. the North American business unit of a $125 million international public relations firm. As a consultant for Cengage Learning, Bill was a LBO Integration Specialist providing leveraged buy-out regulatory integration strategies for a $7.2 billion acquisition. Bill was a turnaround specialist for AboveNet, Inc., a $225 million international fiber optic telecommunications services provider and Global Crossing Ltd., a $2.1 billion international global telecommunications services provider. Earlier, Bill had a series of CFO and executive finance positions with Mediacom Communications Corp, Regus Business Centre Corp & Imperial Schrade Corporation. He began his career with Ernst & Young with responsibilities in the Entrepreneurial Services, Merger & Acquisition and Construction Litigation Support Groups of the firm. Bill has a B.S. Accounting and Economics. He is a member of the American Institute of Certified Public Accountants (AICPA). He was the recipient of the Financial Executive of the Year Award presented by the IMA, the Association of Accountants and Finance Professionals in Business. Robelyn’s career experience spans multiple industries and sectors, including manufacturing, construction, food and beverage, Fortune 500, private, government, non-profit, union and non-union environments. Her executive leadership experience at the Masterack Division of Leggett & Platt, H. J. Russell & Company and Concessions International included human resources infrastructure, strategic planning, leadership development, change management, culture, talent management, human capital management system implementations, labor negotiations and compliance. In her previous role as Vice President of Human Resources at Concessions International, Robelyn led change efforts for organizational restructures, developed workforce planning strategies for new business unit openings, assessed and improved efficiencies in work processes and program initiatives and developed a collaborative culture to improve employee engagement and retention strategies. As a relationship builder, she has interacted with all levels of employees, leadership and joint venture partners, which has strengthened her ability to align people strategies and drive results. Most recently, Robelyn launched a human capital consulting firm, helping small and mid-sized mature, emerging and start-up businesses develop and address people strategies, processes and procedures. Robelyn holds an MBA from Georgia State University and a BS in Business Education from the University of Southern Mississippi. Her certifications include Senior Professional in Human Resources (SPHR), Society for Human Resources Management– Senior Certified Professional (SHRM-SCP) and DISC Assessment. Nozomi helps organizations develop co-created cultures. She cultures that build the foundation for individuals and organizations to bring their competencies, skills and capabilities together in an effective manner to fulfill the purpose of the organization within in the context of its role in the world. Nozomi has a diverse international background — having lived in Asia, Europe and North America — that gives her a wealth of experience and knowledge as a strategic partner to leaders. Born and raised in Japan, Nozomishe values integrity, professionalism, and respect, all of which are core tenets of her deeply- ingrained heritage. For more than 15 years, Nozomi has built experience asbeen a corporate marketer and strategist. She has worked with top companies such as Delta Air Lines, Johnson & Johnson and BBDO, as well as industry-leading clients in the automotive, consumer package goods, fashion, finance, entertainment, IT, lifestyle and airline sectors. Nozomi currently lives in the Greater Atlanta Area and frequently travels to Tokyo to serve her clients. She has served on a number of boards, including the Japan-America Society of Georgia and the , National Association of Asian American Professionals. She also develops programs and speaks on empowering women to find their own voice and help them become leaders in their life, work and society. Nozomi holds a B.A. from the International Christian University and an M.B.A. from the Yale School of Management. Nozomi is a licensed partner for Everything DiSC® and Five Behaviors of a Cohesive Team™, a provider of Licensed Three Colors of Worldview Profile and Cultural Inventory Mapping, a certified master coach through the Center of Coaching Certification, and a certified brand strategist for Reach Communication Consulting, Inc.. Nozomi is also a member of the International Coach Federation and certified by The Protocol School of Washington in Corporate Etiquette and International Protocol. Danila brings more than 20 years of global consulting experience with companies in financial services, manufacturing, and mining and metals in Brazil and the United States. Danila works with companies to address product, quality and delivery challenges, align team goals to strategies and create process improvements. In doing so, Danila draws upon her extensive experience implementing projects to evaluate, analyze and improve business strategies. Danila has held roles with several companies, including Connect Solutions LLC, Experian and Votorantim Metais, LTDA, Brazil. Most recently, Danila launched a consulting firm, delivering corporate education in human resource management, leadership development and strategy development. As Operations Director with the Brazilian American Chamber of Commerce, Danila has been responsible for operations management across finance, government relations, project management and leadership. As a Human Resources and Organizational Development Manager for Votorantim Metais, LTDA, Danila reduced the number of consultancies by 30% and created an admission plan for 50 management trainees. As part of the executive team, Danila helped lead an M&A. She also managed workforce planning, reducing staff from 6,000 to 2,000, negotiated the avoidance of a union strike and formulated plans to integrate the cultures of the two companies. Danila holds an M.B.A. in Business Management with emphasis in human resources from Fundação Getúlio Vargas, São Paulo, Brazil, and a Bachelor’s Degree in Chemical Engineering from Faculdade De Engenharia Industrial, São Paulo, Brazil. Danila is a Six Sigma black belt and holds PM BOK Project Management from FIA University of Sao Paulo and Integrated Management System – ISO 9000, 14000, and OHSAS 18001. 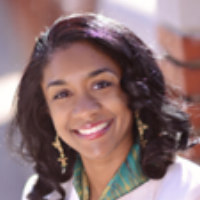 Alicia Butler Pierre is a certified Lean Six Sigma Black Belt and has authored over 100 articles, case studies and white papers in the areas of process improvement and operational excellence. Alicia Her ability to blends scientific, business and mathematical methodologies to solve complex operational problems. enables her to bring a unique, tactical and realistic perspective to her clients. Those clients are not limited to small businesses – she has also led large, enterprise-level process improvement initiatives for companies such as Shell Oil Company, The Coca-Cola Company, and Lowe’s. Prior to joining Pivot Global, Alicia founded Equilibria, Inc., a 13-year old boutique firm specializing in business infrastructure for fast growing small businesses. She applies her experience as a Chemical Engineer to design processes that enable peak performance and profitability. Alicia has led large, enterprise-level process improvement initiatives for companies such as Shell Oil Company, The Coca-Cola Company and Lowe’s. SPreviously, she led and coordinated a $50M project to troubleshoot and re-engineer the oil sample collection process at a refinery. She designed a new sample station to minimize environmental spills and meet EPA regulations. 133 of these sample stations were installed throughout the refinery. She also led a process team in developing 500+ user requirements for a new automated system to standardize a large conglomerate’s operations across its Gulf and Eastern Coast locations in the U.S. Currently, Alicia is penning a book to teach small business owners how to use her business infrastructure methodology to quell the chaos of fast growth and align their operational reality to the marketing façade of their business. Committed to doing the right things the right way, Alicia's mantra is "to leave things better than you find them." Alicia has a B.S. in Chemical Engineering from Louisiana State University and an M.B.A. from Tulane University. Brian has over 20 years of professional experience leading teams to drive top and bottom-line growth, always with an eye to doing the right thing for the employees and the community. Brian is a problem solver with deep knowledge in implementing comprehensive operational excellence programs – including Lean Manufacturing/Six Sigma programs. His core competencies are team building/leadership, strategy, sales and marketing, complex contract negotiations, and government affairs. Brian is particularly effective in change management and turn around scenarios. Most recently, Brian launched a consulting and sales firm focused on serving early-stage energy-savings companies. He used his experience working with Fortune 1000 companies to position his clients to work with and compete with much larger organizations. Strategy work ranged from market research and product/service positioning to sourcing strategy and contract negotiation. Previously, Brian was the President of GEOCO, a start-up metallurgy nanotechnology company. He was responsible for the day-to-day activities of the company, as well as shepherding the company’s offerings through regulatory and industry compliance and beta-trials with actual customers. Prior to GEOCO, Brian launched Gauge Consulting, a strategy and operations consulting firm serving small to mid-market companies in the industrial, light manufacturing, and service operations industries. For his clients, Brian filled roles ranging from on-site counsel and diagnostics to full-time staff. Earlier, Brian had a series of roles with General Electric - Energy and McKinsey and Company, prior to becoming the Vice President of Transportation Policy for the Metro Atlanta Chamber of Commerce. Brian began his professional career as a Submarine Officer in the United States Navy. Brian has a B.S. in Marine Engineering from the U.S. Naval Academy and a M.S. in Nuclear Engineering from the Georgia Institute of Technology. Patrecia West brings over twenty years of experience working in a wide variety of sectors and roles. Patrecia is an expert in learning, leadership, and organizational effectiveness. She has held positions ranging from technical trainer, assistant director of training to manager of management and executive development at a number of for-profit and non-profit organizations, including PricewaterhouseCoopers, Blue Cross Blue Shield, March of Dimes, North American Philips, and Girl Scouts of the USA. Throughout Patrecia’s professional career, she has coached and guided teams and leaders in defining and implementing strategic changes in management and development practices to improve organizational efficiency and effectiveness. In addition, Patrecia has facilitated, motivated and energized disparate teams, bringing them together in collaborative and aligned actions. She has used her expertise in coaching, leadership development, team development, change management, program design and development and inclusion to accomplish these objectives. As both an internal and external consultant, Ms. West has broad nonprofit experience in implementing and providing ongoing advisory services for re-organizations, mission and strategy shifts. She has led executive directors and boards in identifying and building organizational strategies, structures, roles and processes to support the work needed to achieve the newly identified goals. Also, she has provided coaching to boards and leadership teams (individual and group) to help leaders and board members adapt to newly defined roles and develop leadership skills required to realize the strategic plan goals. 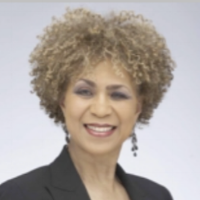 Patrecia is a graduate of Tennessee A&I University and holds a Master of Arts in Organizational Behavior and Psychology from the School of Social Psychology, Columbia University.